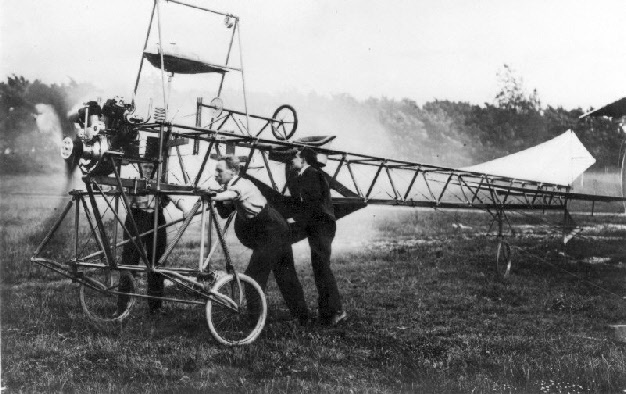 I started to build flying machines round about 1909 to 1910 but the Frenchman Bleriot beat us to it, being the first man to fly the English Channel and receiving £1000 for doing it! The Daily Mail then offered a prize of £10,000 to the first person to fly from London to Manchester. The race was on, but the prize was eventually won by Louis Paulhan in 1910. The R.A.S. 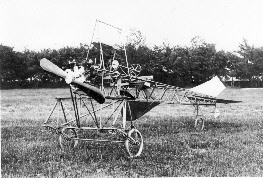 Aeroplane Co. Gosport was formed. The company consisted of three London men, Mr Reader, a barman; Mr Allen, a bricklayer; and Mr Sheffield a chauffeur. 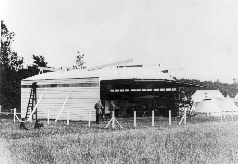 We built the first hangar on Grange Field, now known as the polo field, opposite The Cocked Hat. 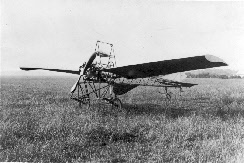 I built the monoplane from tubing; the wheels were set into bicycle forks. 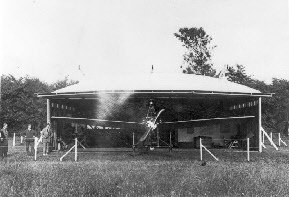 The dimensions were; span 32ft 4ins, length 28ft 6ins; the chain driven propeller had a diameter of 7 ft. I was helped by Mr Crossland, a local furniture maker. Of course in those days you could not buy an aeroplane engine. We fitted a 24 hp Lascelles radial engine and a Weiss propeller. 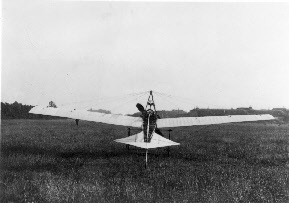 In July 1909 experimental runs took place, trials were conducted on Grange Airfield. 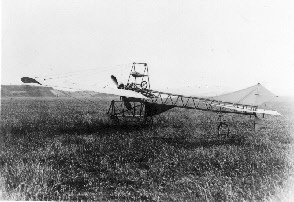 During the trials the machine lifted from the ground and flew across the field but crashed and broke its propeller. 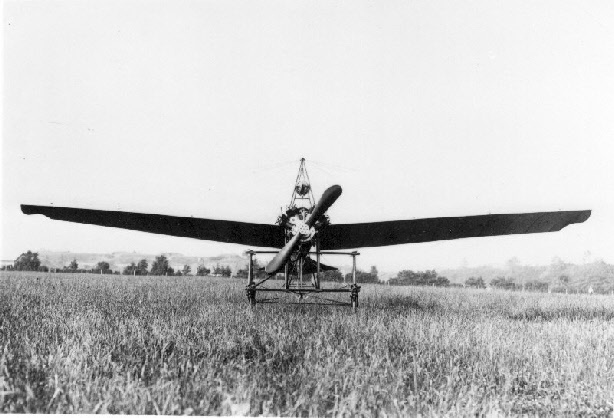 The field was not level, with several large potholes in it; lots of water had laid there, these conditions contributed to the plane nose-diving on landing. A replacement propeller was ordered and after many months it was delivered, only to find that it had been turned with the pitch at the wrong angle and was no use. Winter months passed and a young lad by the name of Lywood, who was very interested in flying, decided that he would fly the machine. He took the controls and again the plane lifted and flew a few hundred yards; mainly due to the lightness of this young lad. This lad later became Air Vice Marshal LYWOOD. After about 18 months we gave up testing the machine at Grange Field, we then put it on show in my garage in Brockhurst Road, Gosport where it was a great attraction. On the 5 November 1910 it was offered for auction, along with large new hangar, benches, vices, tools, with complete camp outfit for four persons. Free use of excellent flying ground with no extra expense, was also included in the asking price. It was put on offer for £600 or nearest offer. A man who can justly claim to be one of the pioneers of the aircraft industry, despite the fact he has never been airborne, is 71-year-old Mr Victor Hutfield, of Chilworth Grove, Lees Lane, Gosport. 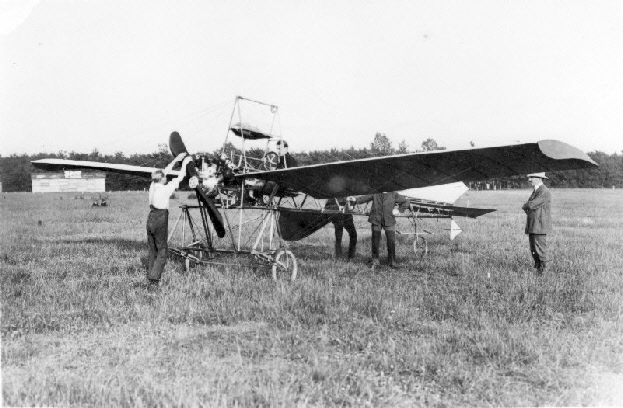 ‘I have never tried to fly and I have never wanted to,’ says Mr Hutfield, but nevertheless, he was closely connected with aeroplanes during their early days. A relic of those days is the roof of his garage which was once the roof of the hangar at Grange field Gosport, one of the first airfields in the country. 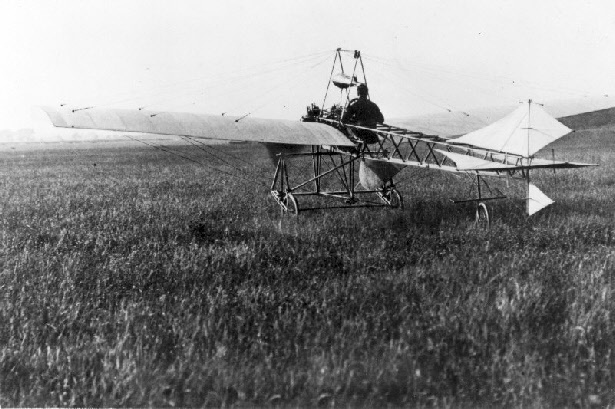 He helped to build the first aircraft to fly from Grange field, and before he embarked on that venture, he made the steel work for a flying machine built by Cmd. Porte, who went on to achieve fame as the inventor of the flying boat. 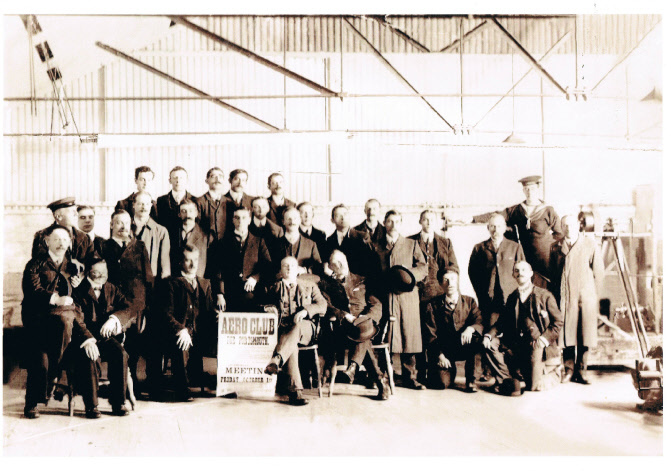 In 1910, with three other men, Mr Hutfield decided to build an aircraft, the aim being to win the £10,000 prize offered by a national newspaper for the first person to fly from London to Manchester. Powered by a 35 h.p. 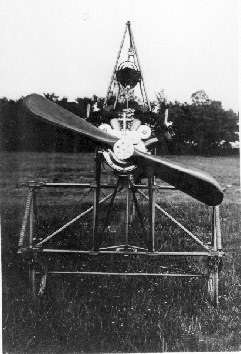 French Lascelles radial engine, the machine lifted from the ground, but crashed and broke its propeller. Months later the machine was again ready for flight. With a young boy named Lywood at the controls because of his light weight, the machine again flew a few hundred yards only to crash. 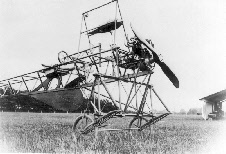 After the failure of their attempts to win the £10,000, the aircraft was taken to Mr Hutfield’s garage in Brockhurst Road, Gosport, where the engine was displayed in the window. Eventually the machine was sent to London for auction and nothing more was heard of it. the S of the RAS Monoplane Company. Aero Club Portsmouth, Friday 1st October 1909.